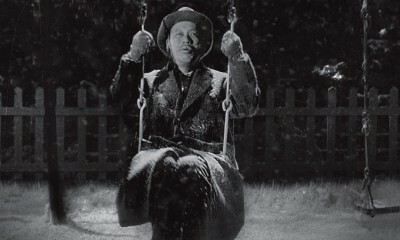 Director Mikio Naruse has admitted to going through a dark period as a younger man and his 1958 film Anzukko (the first he is credited with writing after 1950’s White Beast) seems, in part, his way of dealing with the tortures of his past. In Ryokichi Urshiyama (Isao Kimura), a struggling writer who, over the course of the film, sinks into a vicious cycle of despair and drunkenness, Naruse creates a vividly unsympathetic on-screen surrogate. He’s a character as much cursed by fate as by his own inadequacies, a constant failure who takes out his frustrations on those around him and who is never redeemed. In a late sequence, Ryokichi jealously destroys the garden of his successful novelist father-in-law Heishiro (Sô Yamamura), then breaks down and cries before quickly renouncing all responsibility for his actions. Such is his circuitous, sorrowful behavior throughout, nearly one-dimensional in its predictability and repetitions, yet Naruse clearly has an affinity and understanding for this character who many would no doubt toss aside without a second thought. Naruse examines his own faults and fears through Ryokichi, though he also considers the reverberating effects of the character’s actions. In truth, Anzukko is less Ryokichi’s story than it is his long-suffering wife Kyoko’s (Kyôko Kagawa). Naruse details the couple’s courtship in the film’s romantic and intoxicating first half-hour, as the characters ride bicycles and speak their minds against a series of mountain-town backdrops photographed in crisp, naturalistic black and white. As is typical in late Naruse, the setting is post-World War II, though the mood is decidedly—as it turns out, deceptively—less bleak. 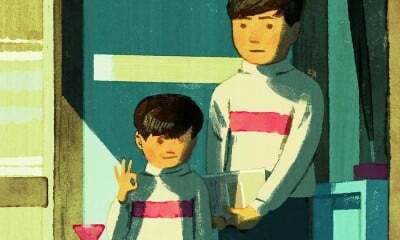 Kyoko’s parents are well off, seemingly old-fashioned (especially when it comes to courtship rituals), yet desirous, nonetheless, of their daughter’s happiness over all else. And yet when Kyoko finally marries Ryokichi it is this very push-and-pull between the traditional and the progressive (mirroring, I’d suggest, Japan’s indeterminate post-war mentality) that leaves her character in a kind of spirited, yet submissive limbo. In its second half, Anzukko plays as a sort of prequel to Naruse’s marital-strife drama Sudden Rain, with the director similarly illustrating the divide between houses via his superb compositional grasp of interior space and through his keen use of music as psychological demarcator. 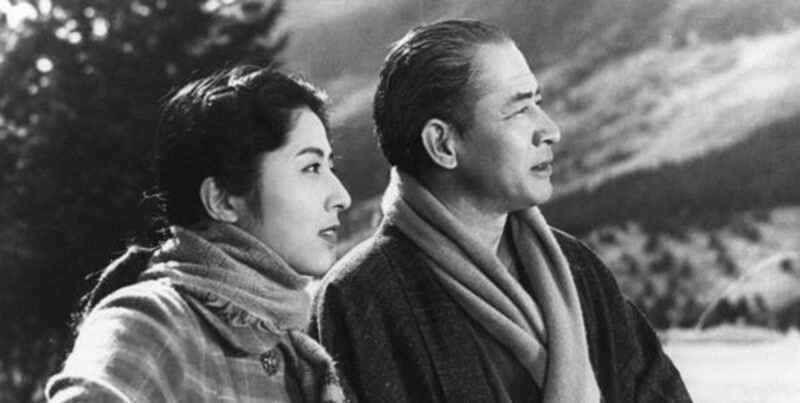 Thus does a classical piano piece that Kyoko plays in happier times become a thematic constant whenever the setting switches to her father’s country house, while the very lack of music in the film’s city/suburb scenes—coupled with Kyoko’s wistful gaze at an upright that she never plays and must sell to survive—suggests the character’s emotional stagnancy and desire to escape. It’s a desire Kyoko eventually represses out of an adherence to tradition (as she is repeatedly told, only the husband may ask for a divorce), plus there is a suggestion that, beneath the couple’s consistently vitriolic interactions, they deeply love each other. Naruse revels in the inherent contradictions of being human and if Anzukko at time feels like an apology for past transgressions it is likewise a loving portrait of a woman tragically caught between her wants and her responsibilities, fated to tread a potentially never-ending path between the trials of her marriage and the refuge of her past.